How do historical conditions influence our health? How does health change history? The After the Plague Project investigates these questions by exploring health in later medieval England. The most significant event during this period is the infamous Black Death (the plague epidemic of 1347 - 50), which killed between a third and a half of Europe’s population. Through a multidisciplinary bioarchaeological approach, which has subprojects in genetics, isotopic analyses, palaeopathology, geometric morphometrics, osteoarchaeology, and archaeology, we investigate the short and long term biological and social consequences of this catastrophe on the population of Cambridge. Although historians have used textual sources extensively to trace how a catastrophe of such proportions affected society, not only immediately but over the course of following centuries, many lacunae exist in our knowledge. This project, focuses on tracing consequences not accessible through historical sources (for instance, whether the well-documented rise in wages following the Black Death really was accompanied by improved nutrition and well-being), how much gendered division of labour altered, and whether diets changed, but it will also ask new questions such as do epidemic diseases affect our biological evolution as well as our social history, for instance by exerting selection on our genomes? Beyond investigating the Black Death, this project also contextualises health more broadly as part of a humanistic bioarchaeology. Were there social differences in health and activity? We investigate a wide range of health conditions. Was the social impact and historical burden of chronic, less visible conditions such as tuberculosis actually greater than plague? And how did health affect human experience, changing the courses of lives? Can we use osteobiographies to understand individual lives? 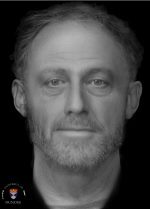 Bioarchaeology gives us the chance of meeting the ordinary people of the past, the great majority of medieval people who never appear in any historical record. Using osteobiographical methods, we can reconstitute the outlines of their lives in considerable detail, understanding the life choices and issues they faced. This project investigates people from all sections of society with a special focus on the Hospital of St John, Cambridge, a recently excavated cemetery by the Cambridge Archaeological Unit. This represents a sample of the urban poor who ended their lives within a charitable institution – a counterbalance to most medieval skeletal populations which favour the more prosperous groups within society, and one which reveals the challenges ordinary people strove with. To see how health affected people across all the strata of a medieval town, this sample will be contextualised with ordinary folk from the urban parish church of All Saints by the Castle, but also prosperous burghers buried in more privileged contexts, monastic individuals from the Augustinian Friars of Cambridge, and rural people from Cherry Hinton and Clopton. To put changes within the medieval period in perspective, a long-term series of smaller samples representing the Neolithic, Bronze and Iron Ages, the Roman, Anglo-Saxon and Post-Medieval period.